LIFESTYLE PACKAGE!!! SPACIOUS-STYLISH-LOCATION! This is true Florida lifestyle! Walking distance to numerous boutiques and fantastic restaurants. Enjoy a perfect dinner and stroll along the marina and take in the beauty of Florida's sun setting skyline. Minutes away from the best beach in the US-Clearwater Beach, The Dali museum, breath taking gardens, theaters, local breweries championship golf courses, Tampa Int'l Airport, professional sports-Rays, Buccaneers, Lightning, Busch Gardens and just over an hour away from Disney. This fabulous home has it all! Large living area in main house near 4,000 SF. 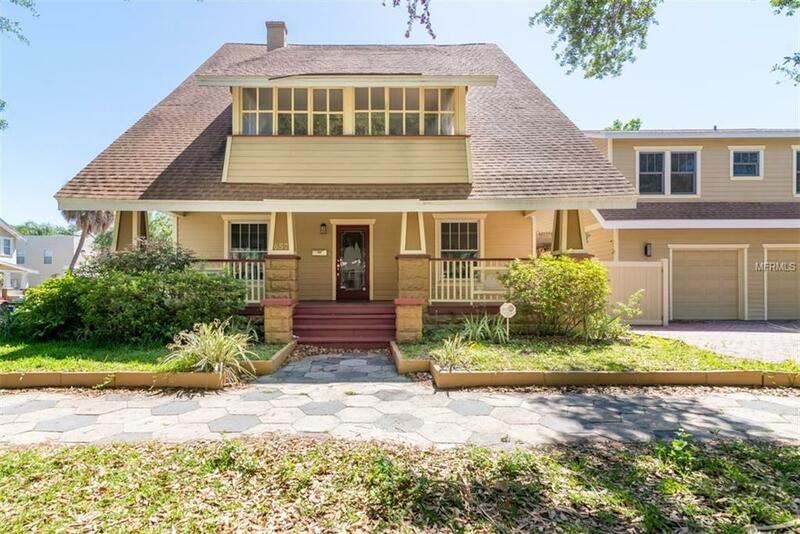 As you walk up to the large front porch and into the foyer, years of charming architecture, hardwood floors, detailed trim molding and the formal staircase greet you. This three story home has all of the common area living spaces on the main floor which include formal living and dining room, den, family room and kitchen flow towards the back of the home. Double French doors open from the dining room to the gated side deck. The second floor is boasts 4 spacious bedrooms and the final two bedrooms on the third floor. The 2 car detached garage has a 900 SF 2/1 apartment with full kitchen, large balcony and it's own separate mailing address (perfect for income property renters or extended family retreat).